On Prohibition Day and Repeal Day I thank my lucky stars that I can decide for myself if a cocktail is in order this evening, and that some faceless bunch of bluenoses no longer blockades a significant element of American cuisine and culture. 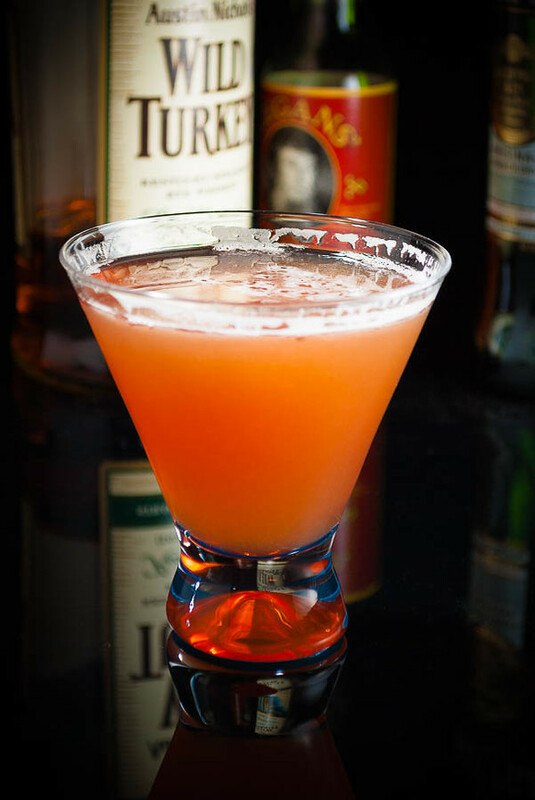 I make a particular effort to celebrate with a recipe that I’ve not experienced before, and Robert Hess’s recent Scofflaw post and backgrounder suggested the perfect classic for the day’s theme. The story behind the Scofflaw Cocktail is amusing, a nice little fillip from the American expatriates in Paris to needle the silliness of Prohibition—and, presumably, to make a little more money from the deal, too. It seems that the Boston Herald came up with a contest to find a new epithet for those who would try to flout the rules of Prohibition. The winning word was “scoff-law.” It took about one day for the term to have its effect: according to Harry’s ABC of Mixing Cocktails , Jock, one of the bartenders at Harry’s New York Bar in Paris, put together a sort of daisy that he called the “Scoff-Law” cocktail; it was one of the early signals that the Prohibitionists’ attempt to criminalize and stigmatize an entire population was risible, and doomed. But the drink’s name got me to pondering—what if Prohibition had not been repealed? Would I be so eager, on any given evening, try my hand at building a new cocktail? To scoff? To make the potentially dangerous effort to gather the illicit ingredients required for said scoffing? Or to find and patronize speakeasies? As much as I can wish I had enough of a pirate’s soul to proceed unbothered, I think my innate stodginess would stand in the way. I can’t know for certain, but I think I would deal with the situation by becoming a more regular international traveler—Oh! Canada! But the question, “What if there were no Repeal?”, is a first-rate whiskey-by-the-fireside problem to contemplate, and any number can play. The best part is that while we can never know the answer, the contemplation and speculation make an educational amusement, and even pursuing one tiny strand through history, culture, and economics can beg more questions than it can ever answer. For example: who would have carried on our bourbon tradition? Is there any chance at all that we could still get quality bourbon in usable quantities? The moonshine economy couldn’t provide it, not proper barrel-cured whiskey; can you see moonshiners racking enough of the stuff for as long as it takes? Me neither. There is plenty of corn in the Ukraine and Georgia, along with plenty of wheat and rye, but whiskey just doesn’t seem to fit into the eastern European food chain. The Chinese corn crop is huge, but again, whiskey doesn’t seem to fit their economic models. The Japanese? Maybe. They’re doing pretty well with barley whiskey. But in most of the world, crops and marketplaces just don’t seem to come together well enough to start and drive the bourbon industry. The Savoy Cocktail Book and the Hess recipe linked above suggest Canadian Club as the appropriate whiskey. The main difference is the use of rye or bourbon instead of the milder Canadian whiskey, and in larger proportion. And the play of “sweet and sour” is reduced. This modern version is not particularly true to the 1924 original, but it asserts the whiskey character more, and it is a good drink. “Repeal And The Scofflaw” at cold-glass.com : All text and photos © 2009 Douglas M. Ford. All rights reserved. Thanks for the post! Is this drink supposed to be quite sour or was I perhaps using a particularly potent lemon when making it? No, Scofflaw shouldn’t be a particularly sour drink, but I’ve found that it’s easy to for it to go in that direction. As you suggest, it’s very susceptible to the variability of lemons. I think of the grenadine as the main “tuning” mechanism for bringing it back to balance. Thanks for taking time to comment.